Exhaust systems and headers — superior power and efficiency. For more than 20 years, Dynatech has focused on new technology to continue producing exhaust systems with superior fit, function and performance. Racing and engineering advances throughout the industry are bringing a new breed of racing and performance cars to the tracks and the streets. You will see that excitement and new performance technology when you look at Dynatech exhaust products. Drag racing, circle track, street rod & muscle, and high performance. Regardless of your racing or performance preference, Dynatech’s virtual reality design systems capture key interference and mounting points under the hood and throughout a car or truck chassis. Tube lengths, diameters and routing can all be designed and manipulated for the perfect fit and increased performance. These precision design systems not only cut design time, but also help create more efficient and more powerful products. All our headers and exhaust systems are tested on dyno equipment to make sure we’re delivering the most horsepower and torque gains for the investment. We’re racers and performance builders, too. You know the value of a no-hassle, maintenance-free performance exhaust systems. We do too. We design our product and service to make sure that’s the Dynatech experience that you receive. And you get the most experienced technical advice in the industry. It’s simple, we’re in this business to be the best at what we do. Dynatech’s virtual reality systems allow our engineers to design exhaust systems in virtual spaces in order to meet all necessary design criteria. The system captures key interference and mounting points under the hood and around the chassis, and then transfers that information to engineering’s design stations. The routing of tubes, the tube lengths and diameters are all designed and manipulated for superior fit and function. This system not only cuts design time by 90%, but it allows us to design and produce a much more efficient and powerful part. Automated production machines such as robotic welding, CNC bending, machining, and laser trimming equipment give us the ability to produce the highest quality, most consistent racing and performance exhaust part in the industry. All of our systems are tested on state of the art dyno equipment to ensure that we provide the very best horsepower and torque gains per dollar. 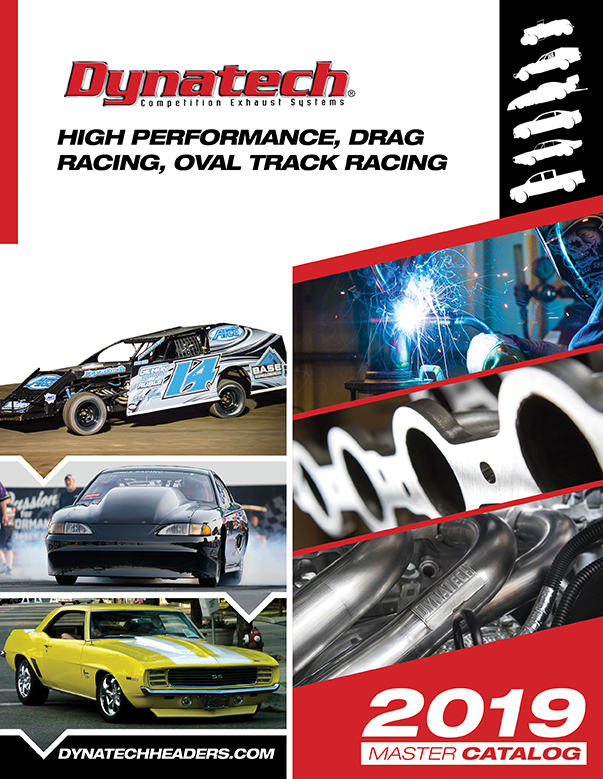 At Dynatech, we strive for 100% perfection in all the racing and performance parts we produce. Every product we manufacture goes through proven assembly steps and procedures to provide the end user with a product on which we can stake our reputation. We have instituted numerous fitment and quality control inspections. All high performance systems are 100% tested to be leak-free. Dynatech provides the finest quality exhaust systems in the industry. We are committed to inventory levels that work for our customers. Dynatech strives to have all popular components in stock and on our shelves. Most stock items are shipped the same day as ordered. Our staff is dedicated to providing not only the best exhaust systems, but also the best service and delivery in the industry.